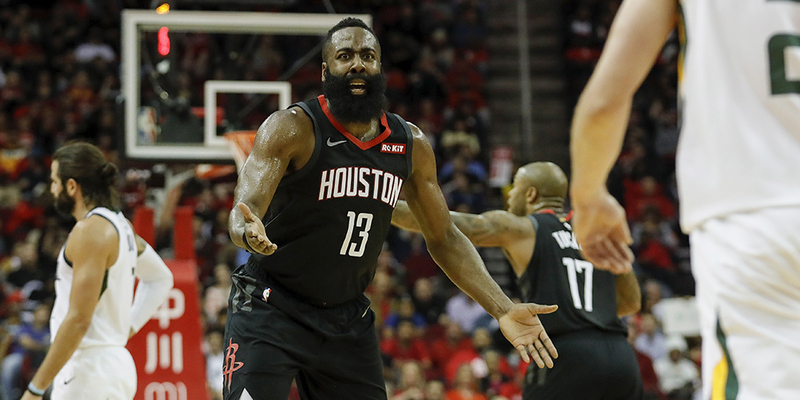 Are the Rockets doomed after their slow start? Let’s see what the math says. In 2004, Steve Nash joined the Mike D’Antoni-coached Suns. I don’t have to tell readers of this site what happened next: Phoenix took the NBA by storm, winning 62 games with Nash, Amar’e Stoudemire, Shawn Marion, Joe Johnson and their Seven Seconds or Less philosophy. The following year, Phoenix lost Johnson to free agency and Stoudemire to injury, but they still managed to win 54 games. Heading into the 2006-07 season, with Stoudemire returning, there wasn’t any reason to think they couldn’t continue apace. And indeed, the preseason Vegas win totals had them projected for around 55 wins. Their season didn’t start as planned. They opened with a loss against the Lakers, and after a bounce-back win at home against the Clippers, the Suns went on to lose four straight. Here they were, a team with lofty ambitions and no real reason to think they would underperform, with one of the worst records in the league. At that moment, you would have been forgiven if you had thought their run was ending. The league had figured them out. This fast-paced, spread ‘em out, run-and-gun-and-shoot-a-lot-of-threes offense was a short-lived sideshow. Except, of course, it wasn’t. The Suns went on to win 17 of their next 18 games, the only loss coming in Utah on a back-to-back in overtime. The doubters were wrong. They won 61 games that year, only slowed down by a San Antonio hip-check. In 2017, Chris Paul joined the Mike D’Antoni-coached Rockets. I don’t have to tell readers of this site what happened next: Houston took the NBA by storm, winning 65 games and taking the eventual champion Warriors to seven games in the conference finals. Heading into this season, the Vegas win totals projected them for around 56 wins. But it hasn’t started as planned. Like those 2006-07 Suns, the Rockets are 1-5.